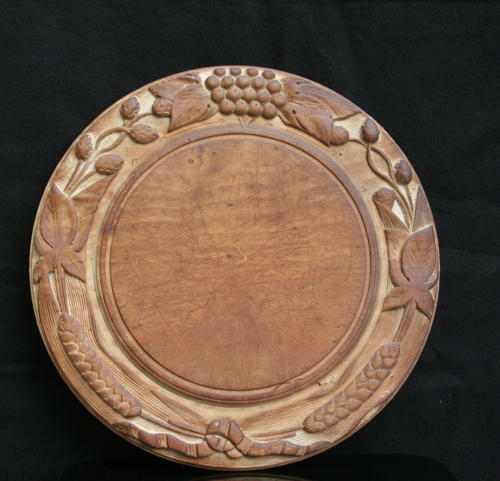 Deeply carved English wooden breadboard, decorated with hops, wheat etc. lovely untouched orginal condition. early 20th century.